A peaceful haven in the stars! 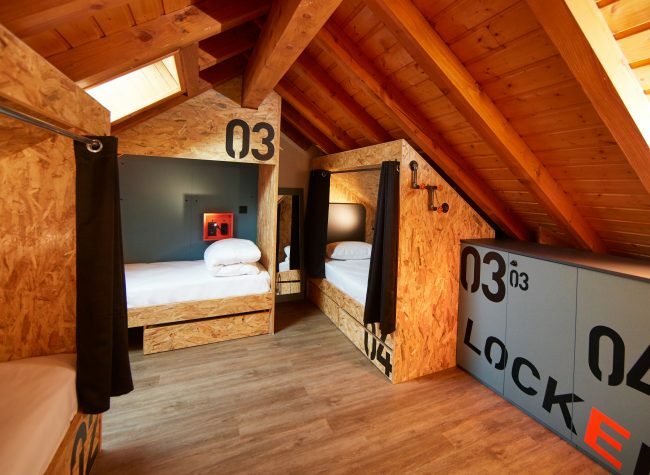 With around twenty rooms – shared, exclusive or private – Moontain proposes a wide range of accommodation solutions. Designer, stylish, and with impeccable taste, the layout has been created with your tranquillity in mind. Each solution guarantees optimal night-time comfort. All together for more emotion! 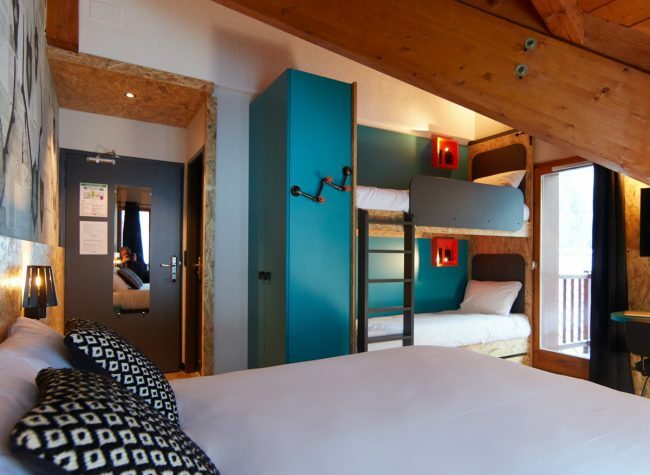 Conviviality is a sure thing with the shared room solution: rooms with 12, 8, or 6 beds! 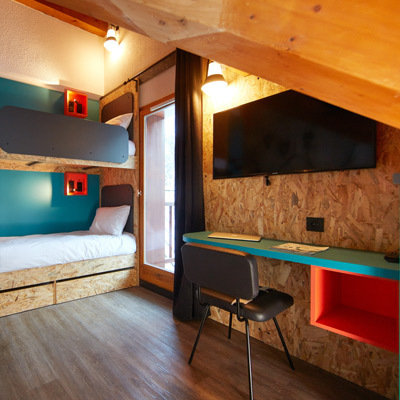 To be shared with friends or other travellers, the rooms have everything you need and are designed to preserve your privacy. To ensure your comfort and tranquillity, each bed has a reading light, a blackout curtain, an electric socket, and a USB socket – our Moontain bed! An original twist: some rooms have bed tree houses, and others open onto a shared TV lounge. 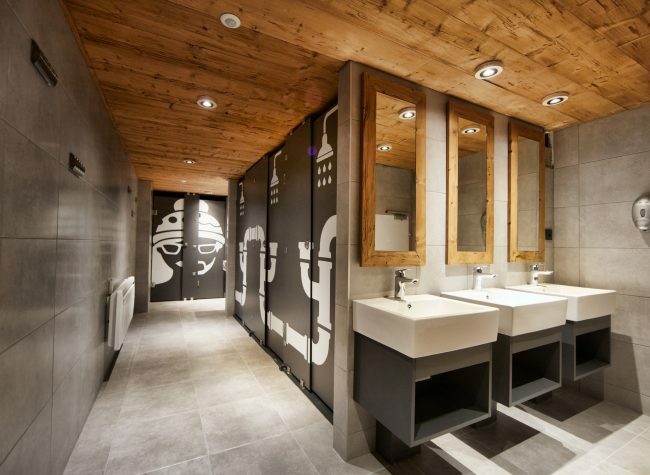 Bathroom and toilet: nearby, at least one washbasin for 4 people, heated towel rail, electric socket, hair dryer, wide fixed shower head, and hand-held shower head. 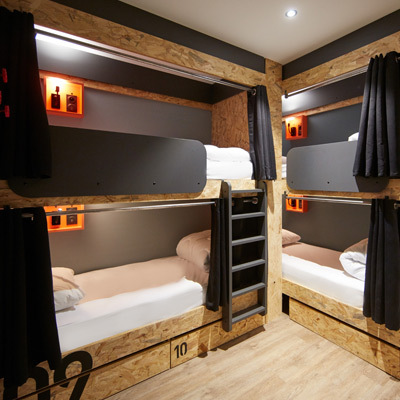 Furnishing and facilities: Moontain Beds or single beds, an individual locker with padlock (not provided but available for sale at the reception if necessary), connected cashless wristband. 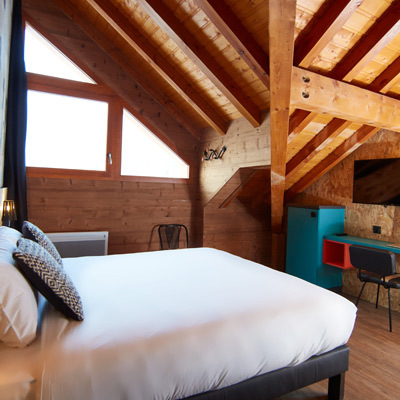 Bed: 4-star bedding: 90cm x 200cm, bed linen (€7 per person payable in advance when you book). Optional: towels kit €3, composed of bath towel and hand towel. Moontain bonuses: Book a private shared room! You want the affordable price of a shared room but you prefer to share exclusively with your friends or family? 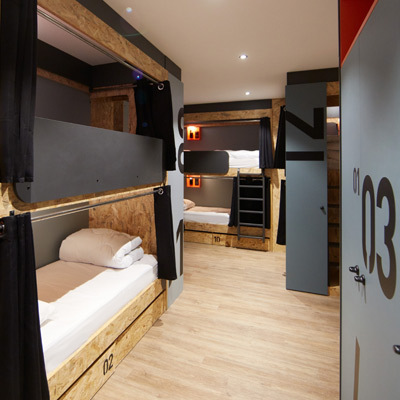 Privatise a shared room and book all the beds your tribe needs! 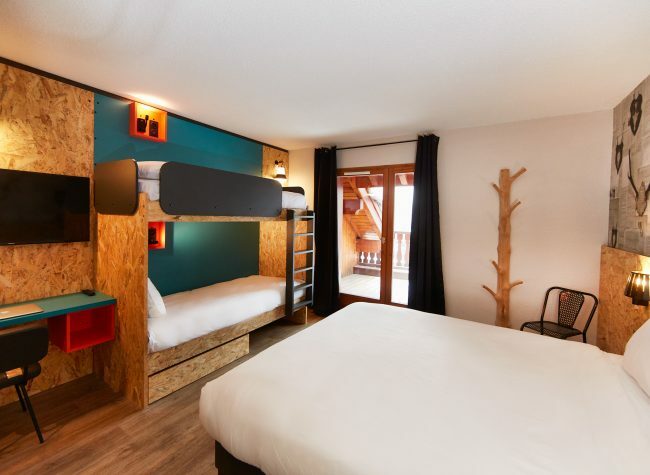 Are you looking for accommodation on the mountain which combines low prices, maximum comfort, discovery, and a chance to meet people? 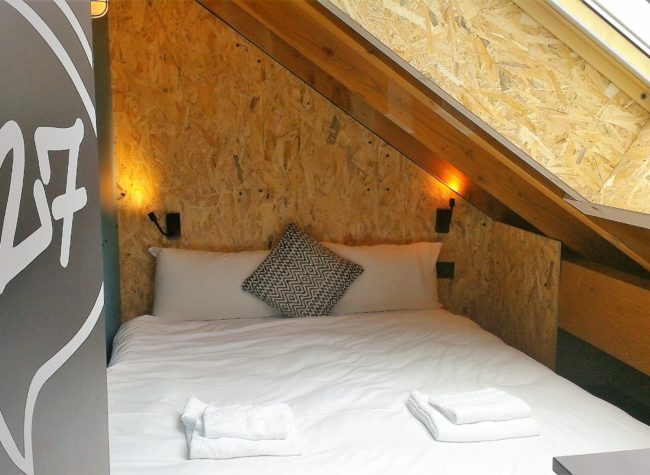 Choose an exclusive Moontain room with 2 or 3 beds! A luxurious sleeping area as well as a stylish and tasteful communal lounge area. The Moontain bonus: these exclusive 5-bed rooms have access to a communal TV lounge area. Enjoy the mountain with peace of mind! 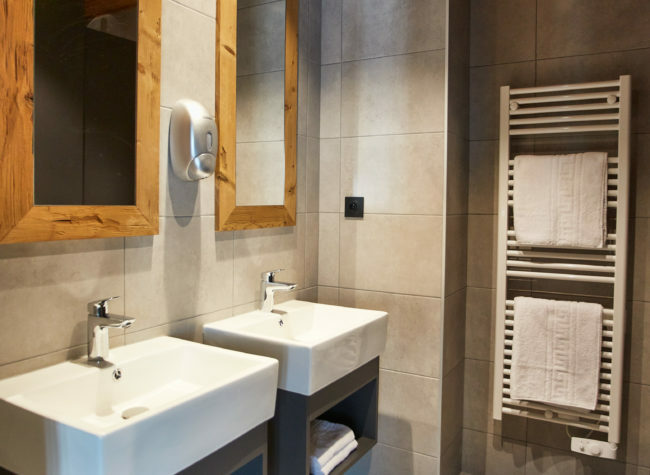 Bathroom and toilet: nearby, heated towel rail, electric socket, hair dryer, wide fixed shower head and hand-held shower head. Towels kit included, composed of bath towel and hand towel. 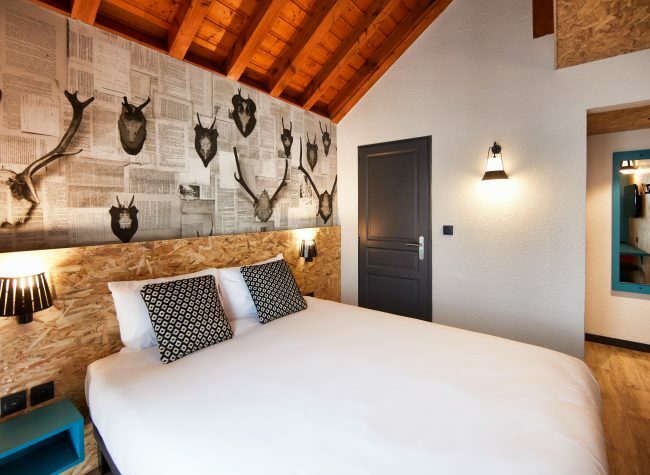 Beds: 4-star bedding: 160cm x 200cm, bed linen (€7 per person payable in advance when booking). A bed 90cm x 200cm supplementary for rooms 3 persons. Luxury in the great outdoors! Do you have a longing for nature, sport and meeting people combined with the cosy feeling of a designer décor with impeccable comfort? Choose the exclusive Premium offer! Ideal for a couple, with family or friends, the exclusive Premium room meets the standards of a 4-star establishment. With 2 to 4 beds, most have a terrace or balcony, and some have dual aspect and 2 balconies! After a full day out sharing activities and discussing your adventures, it’s time for the luxurious atmosphere of a winter evening in the mountains! Incredible nights and original conditions! 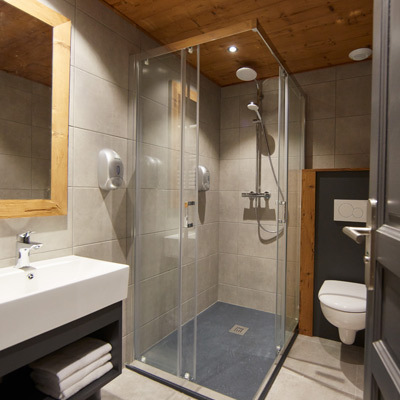 Bathroom and toilet: private, heated towel rail, electric socket, hair dryer, wide fixed shower head, and hand-held shower head. Towels kit included, composed of bath towel and hand towel. 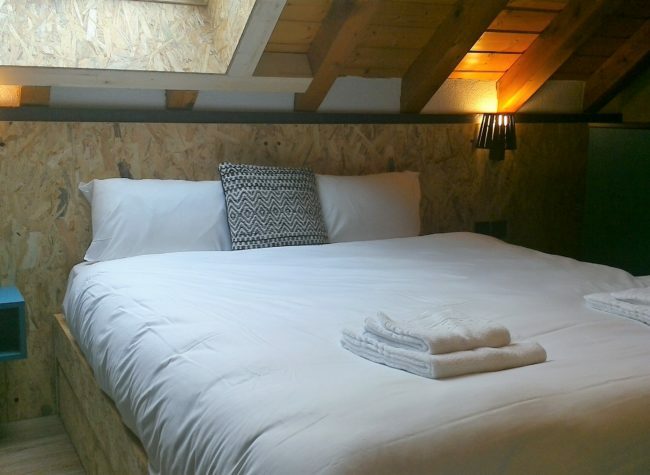 Beds: 4-star bedding: 80/90cm x 200cm, bed linen (€7 per person payable in advance when booking). Bed 160 cm x 200 cm and bunk beds 80cm x 200cm for rooms 4 persons. Furnishing and facilities: TV, safe, desk.